We understand how hard it is when buying a ring for yourself, and for others when it comes to sizing, so to make life easier, we've taken our signature 3 band crystal ring design, and made them adjustable! 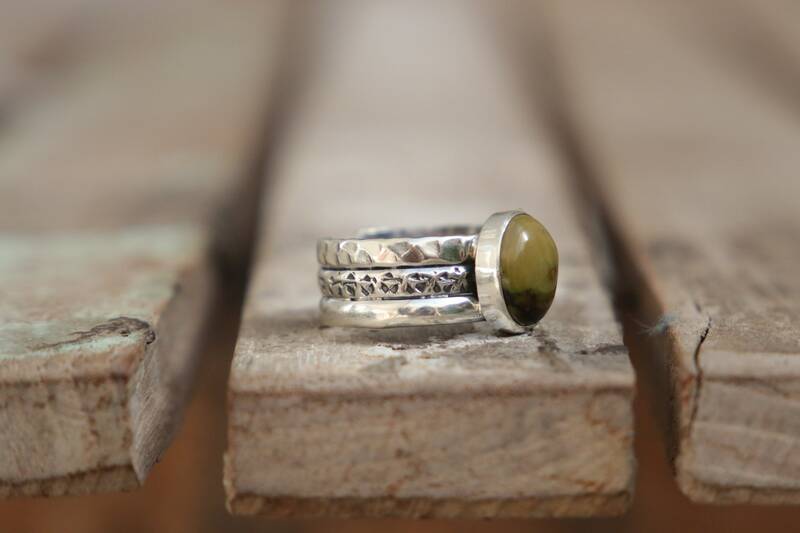 With three stamped and hammered and stamped 925 Sterling Silver bands, these are solid adjustable pieces and that are sturdy and incredibly comfy to wear. 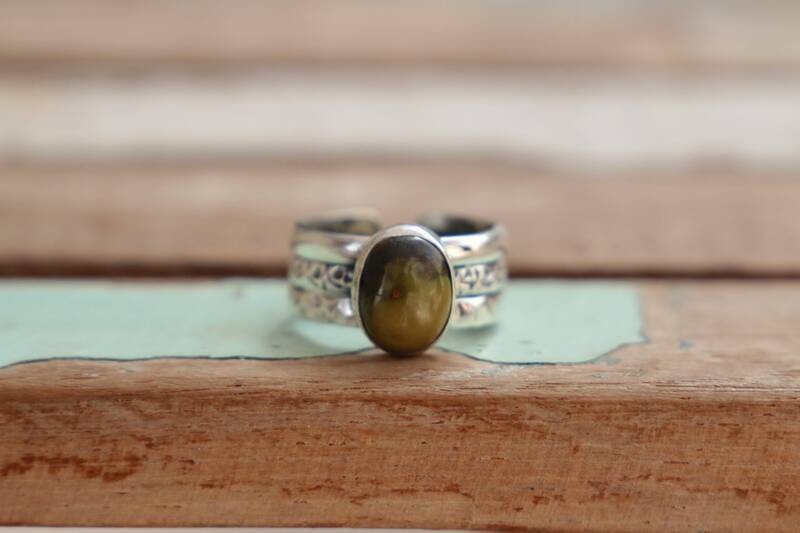 We hand choose all of our crystals and stones and only the finest and most beautiful get turned into rings and all components are handmade using sterling silver. 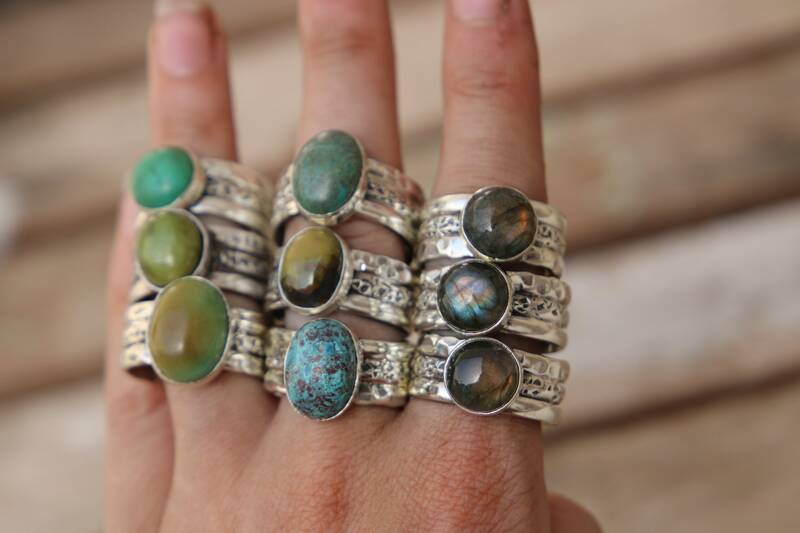 Because of the nature of our stones and the way in which we source them, no two pieces will ever the same and we only make a handful of each at the very most. 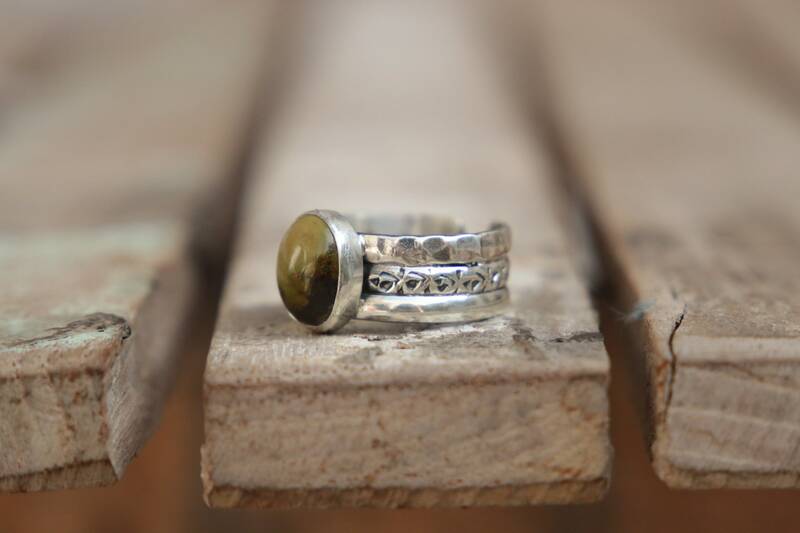 So much time and energy goes into creating these rings and we pride ourselves on creating bespoke pieces that no one else will own, making each piece is as unique as you are! 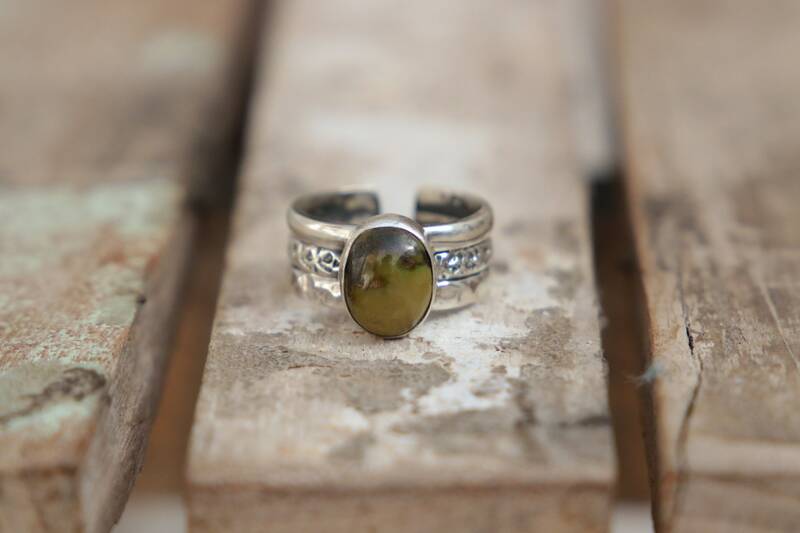 The Natural turquoise used in this ring is incredibly beautiful with vivid greens and mystical smudges of rich brown tones. 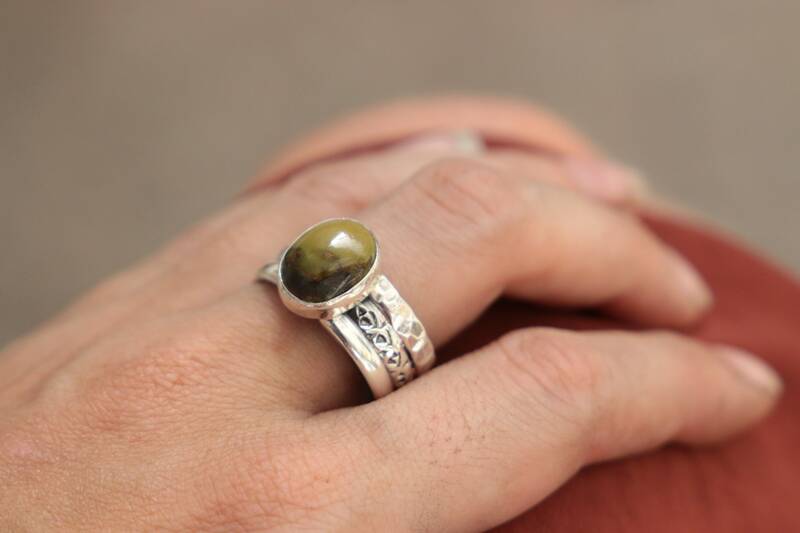 We only have ONE made using this colour of stone so it really is a truly unique piece.